1. Help Windows and Mac users to quickly find ASUSTOR NAS devices on their local area network and carry out system installations, establish NAS connections, and configure basic settings. 2. Remotely execute shut down, sleep and Wake-on-LAN (WOL) functions. 3. The Windows version of Control Center provides a rich variety of management functions including the abilities to scan your local area network for ASUSTOR NAS devices, quickly log into the ADM interface, establish connections to the NAS, update the ADM, open Web interfaces for different services, and access power controls. Control Center also allows you to execute Wake-on-LAN (WOL), use the Find Me function, enable Night Mode, put the NAS to sleep, restart the NAS and shut the NAS down. Newer versions of ASUSTOR Control Center will only suitable for use of ADM 2.3 DBS7 and onwards. If you are using an earlier version, Control Center will indicate to you that an upgrade will be required. After downloading Control Center, unzip the downloaded file and then double-click on the installation file. Follow the instructions provided by the installation wizard to complete the installation of Control Center. After installation has completed, you should be able to see the Control Center shortcut icon on your desktop. Double-click on it to start Control Center. 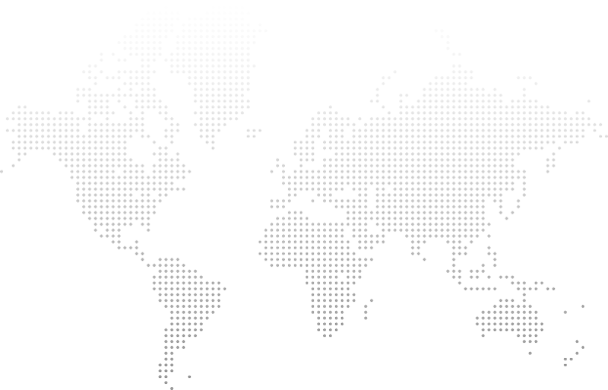 When you open Control Center, it will immediately begin to scan your local area network for ASUSTOR NAS devices. Under the status field of the interface, you will be able to see if the individual system is ready, uninitialized, or if its firmware needs to be upgraded. : Clicking on this button will cause Control Center to scan your local area network for an ASUSTOR NAS device. : After selecting a NAS from the list and clicking open, Control Center will open your Web browser and connect to the NAS’s ADM login screen or begin initialization. You can also double click on the NAS in the list to bring up the ADM login screen on your Web browser. : Clicking this button will provide you with 3 different options that you can use to connect to the resources on your NAS. Map Local Network Drive: Selecting this option and then following the steps provided by the wizard will allow you to map a shared folder from your NAS to your PC as a local network drive. After mapping the folder to your PC, accessing your NAS will be as convenient as accessing the hard drive on your computer. 1. If you wish to use this option, first confirm that your user account has the necessary access rights to access shared folders on your NAS. 3. This connection method is only suitable for use when your NAS and computer are on the same local area network. Create Remote File Folder: This option will allow you to create a remote folder (via WebDAV or FTP) in Windows and connect it to a shared folder on your NAS. The folder will appear in [Network Location] under [Computer]. 2. This connection method can be used only if the computer and NAS are on the same local area network. If you wish to use your computer to connect to your NAS using FTP via the Internet, please first complete EZ-Router configurations on your NAS or manually access your router interface to complete FTP (default port is 21) port forwarding configurations. Connect via FTP: After selecting this option, your web browser will open and connect to your NAS via FTP. : This option provides ADM upgrades. After logging in, the system will detect whether there is a new upgrade available or not and can immediately commence upgrading. : If you have installed Photo Gallery or Surveillance Center on your NAS, you can quickly access those web interfaces by logging into them using the shortcuts provided here. : This button provides power control functions. These functions include Wake-on-LAN, Find Me, Night Mode, Sleep Mode, Restart, and Shut Down. You must first log into the system using administrator credentials before being able to use these functions. Wake-on-LAN (WOL): Here you can enable or disable the Wake-on-LAN function. This function will also allow you to wake NAS devices on your local area network that are either in sleep mode or powered off. Find Me: If you are managing multiple NAS devices, you can use this function to cause the system buzzer to sound and the power LED to blink, allowing you to quickly locate the NAS. Night Mode: This function allows you to put your NAS into Night Mode. Sleep: Puts your NAS into Sleep Mode. Shut Down: Powers off your NAS. If you wish to check if you are using the latest version of Control Center, you can click on the icon in the upper left-hand corner and then select [Check for updates]. If new updates are detected, Control Center can automatically download and install them after prompting you to agree to do so. When you open Control Center, it will immediately begin to scan your local area network for any ASUSTOR NAS devices. If any uninitialized NAS devices are detected, the installation wizard will automatically pop-up. You can follow the instructions provided by the wizard to quickly and easily complete system initialization. Control Center’s main interface is shown in the graphic below. 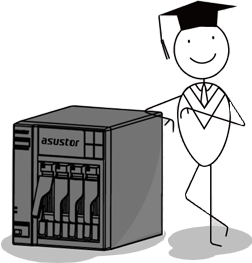 In the left-hand panel, you will see a list of all the ASUSTOR NAS servers in your local area network organized in alphabetical order. All servers will have a small icon next to them allowing you to instantly view their status. On the right side, you will see detailed information displayed for the server selected. There are also 4 function buttons located towards the bottom right of the interface. Ready: Your NAS is ready to be used and connected to. Uninitialized: You will have to complete initialization for your NAS before being able to use its functions and services. Unknown: Your computer is able to detect your NAS, but is unable to establish a direct connection. Example: Your computer and NAS are connected to the same switch, but their IPs belong to different network segments. : Clicking on this button will cause Control Center to scan your local area network for an ASUSTOR NAS device again. : Selecting a NAS from the left-hand panel and then clicking on this button will cause Control Center to open your web browser to connect to this NAS’s login page. Map Local Network Drive: Selecting this option and then following the steps provided by the wizard will allow you to map a shared folder from the NAS to your Mac as a local network drive. After mapping the folder to your Mac, accessing your NAS will be as convenient as accessing the hard drives on your computer. 1. If you wish to use this option, confirm that your user account has the necessary access rights to access shared folders on this NAS. : Clicking this button will provide you with NAS software updates and power control functions. Note: The functions provided by this button are only available to users in the NAS’s administrators group. Software Update: You can go to the Download section of the ASUSTOR website (http://www.asustor.com/service/downloads) to get the latest ADM firmware for your NAS model. After saving the firmware file to your computer, you can use this function to browse to the location of the firmware file. Once you select the firmware file and click on [Ok], your NAS will begin to install the new firmware. Wake-on-LAN: This function will allow you to wake a NAS device on your local area network that is either in sleep mode or powered off.